One way that we “shoulder the load” is ensuring that we are certified and equipped with the latest technology and approaches for the various services we offer our clients. From air purification to water damage, repair through mold remediation, and many other specialty issues, Champion Contractors SW is dedicated to being the best at what we do. 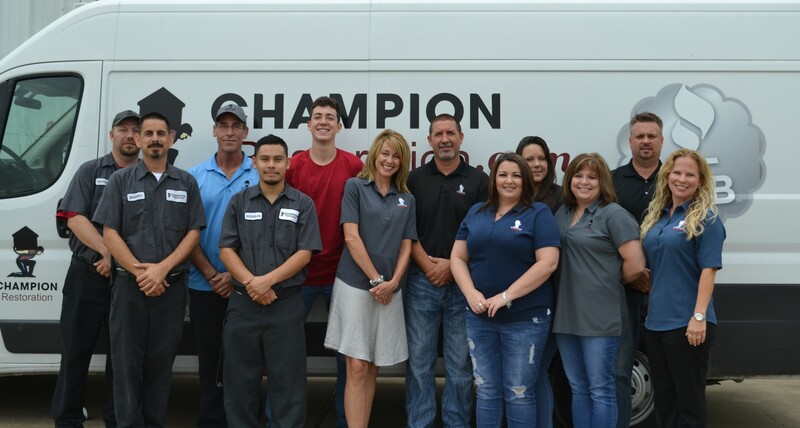 Champion Restoration is proudly affiliated with several businesses including: The Better Business Bureau, PHCC (Plumbers, HVAC, Contractors), Katy Chamber of Commerce, Houston Claims Association, Texas Residential Construction Commission (registered). We are proud to be charitably involved with Kingsland Baptist Church, Gospel For Asia, Hope for Haiti’s Children, Food for the Hungry, Simonton Community Church, World Vision, and Camp C.A.M.P. For Autistic Children. We ensure that any money we give is first given to the Lord, then we donate between charities or individuals in need.